As previously shared in our blog, on June 19, 2018, voters in Washington D.C. approved a ballot initiative that would have raised the minimum wage for tipped employees. 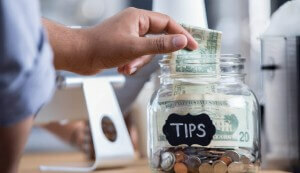 Initiative 77 would have gradually increased the minimum wage for tipped workers to $15 per hour by 2020, and further increased it to the same level as non-tipped workers by 2026. On October 2, 2018, the Council of the District of Columbia voted 8 to 5 to approve the Tipped Wage Workers Fairness Amendment Act of 2018 that would repeal Initiative 77. The legislation would also transfer investigation of wage theft claims and enforcement of wage theft laws from the Department of Employment Services to the Office of the Attorney General. Businesses with tipped workers would be required to conduct annual sexual harassment training and training on minimum wage laws for all owners, operators, and managers. Furthermore, the legislation would require all businesses with tipped workers to utilize a third-party payroll company to prepare the businesses payroll. Lastly, the legislation would require the Mayor to launch a public education campaign to raise awareness and educate the public about the rights of tipped workers. As expected, on October 23, 2018, Mayor Muriel Bowser signed the Tipped Wage Workers Fairness Amendment Act of 2018. The legislation will become law after a 30-day period of congressional review. CPC will continue to monitor the legislation, so stay tune.